Kwa Lar Christ started as an Opportunity Navigator through Minnesota Opportunity Corps at KOM in November 2018. Kwa Lar Christ was born in Burma and moved to a refugee camp in Thailand. First, his older sister, Moo Moo Paw Htoo, one of our staff here at KOM, moved to the U.S., and he followed shortly after. He first arrived in Colorado and attended Area West College Prep Academy from middle school through 11th grade. Before finishing high school in Colorado, Kwa Lar’s sister called him to come up to Minnesota, where he then graduated from Roseville Area High School in 2017. His first job here was working at Double Dragon grocery, and after that he began working as an assistant with Japs-Olson, a printing company. 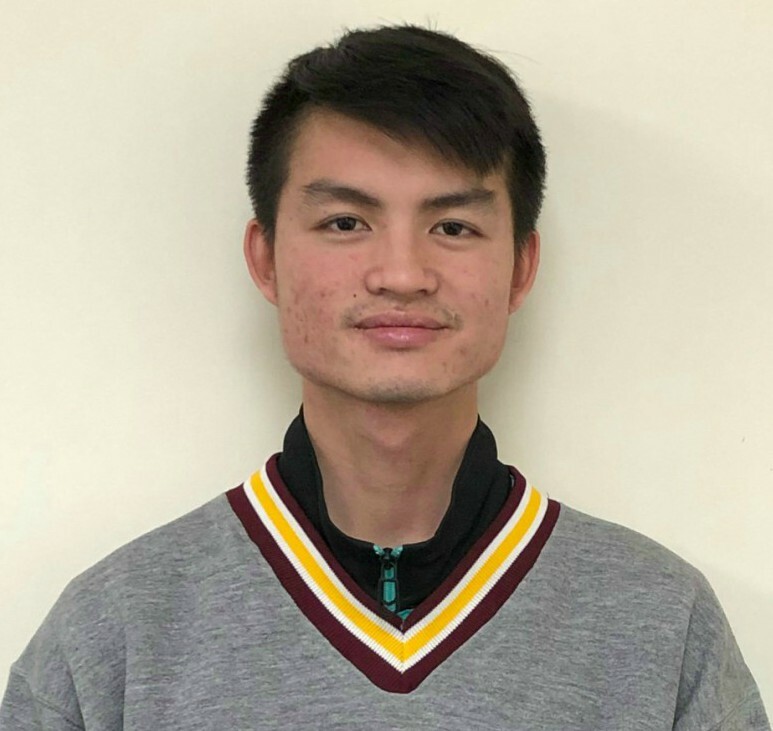 Kwa Lar Christ began working at KOM as a Minnesota Opportunity Corps Opportunity Navigator in late November 2018, and he is looking forward to this opportunity to gain more professional experience. I want to work at KOM so I can help people who need help with filling out paperwork, finding jobs, and more. I especially want to work at KOM because there’s a lot of my people here to communicate with and ask questions to, so I don’t have to feel left out or different. Since I started, I have been reading about KOM’s rules and policies, since I’ve only been here for one week. I also just began my training. What are you most looking forward to with your job with KOM? I’m most looking forward to gaining more experience and learning new things so that I can live in the future with less stress.